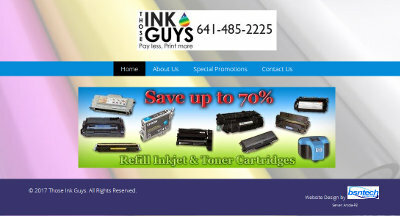 John, the owner of Those Ink Guys, sent an email to us several weeks ago about updating his website. He had created a very simple website using a proprietary website builder that had just a little bit of text and a few pictures on it. He also had an email account with the provider as well. John was wanting to get a site that was still pretty simple – but have more pages with promotions and contact information. 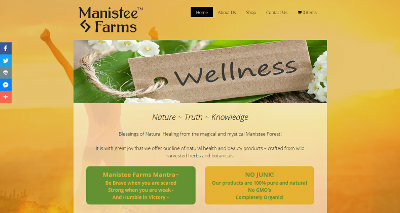 The site was setup and completed within just a few hours. Down the road, John will have other changes and updates ready for the site but he was ready to make it live and get away from the one-page site he made before. We also assisted John with setting up his email account by doing a remote computer session with him. We wanted to ensure there wasn’t any issues with getting his email setup on his computer so he was ready to go. The website is at thoseinkguys.com. Shawn Miller, the owner of Lugnut4x4, has been a customer of ours for several years. In addition, he has also referred many clients to us over the years as well. BsnTech has been managing and updating the website for Lugnut4x4 during this time while the site was hosted at a different provider. On Friday, Shawn reached out to us and let us know that he changed the hosting service to another provider that touted the performance of their servers. Shawn has been optimizing his website and doing several things to increase the search engine rankings for it – and this was one of the changes to help with that. We did several tests on the new server and found out that it was actually slower to respond and load the website than it was at his prior company. His prior company was charging him $39 a month for hosting and the new hosting provider was $29 a month – which included the SSL security certificate. We knew we could do better. So his website was placed on one of our test hosting accounts and we compared the differences. The biggest difference was the ‘time to first byte’. His new provider was at almost three seconds to pull down the start of the site. With our servers – it was under a second. We continued to optimize the site by fixing some very large images that were on his website that totaled over six megabytes by themselves. This was reduced to about one megabyte in size which greatly helped load time as well. After the work we put in, Shawn opted to have us host his website since our speeds were better than both of the providers he had tried. Now, the site loads at least twice as fast as it did before with better metrics. Even better – he saved a significant amount with our price averaging $16.67 monthly for website hosting including an SSL certificate. Shawn has been a great customer for several years and we are glad that we could maximize the performance of his website while saving him almost $23 a month on his hosting services. The website is at lugnut4x4.com.